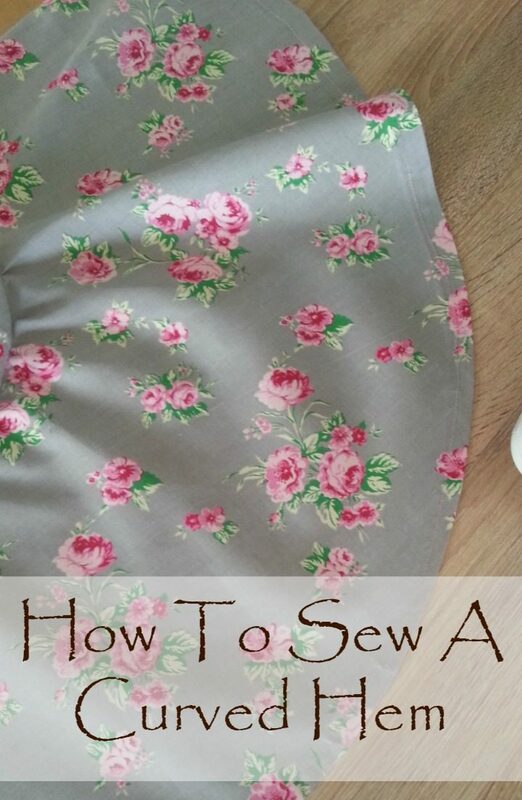 Every type of fabric needs a different sewing machine presser foot adjustment. 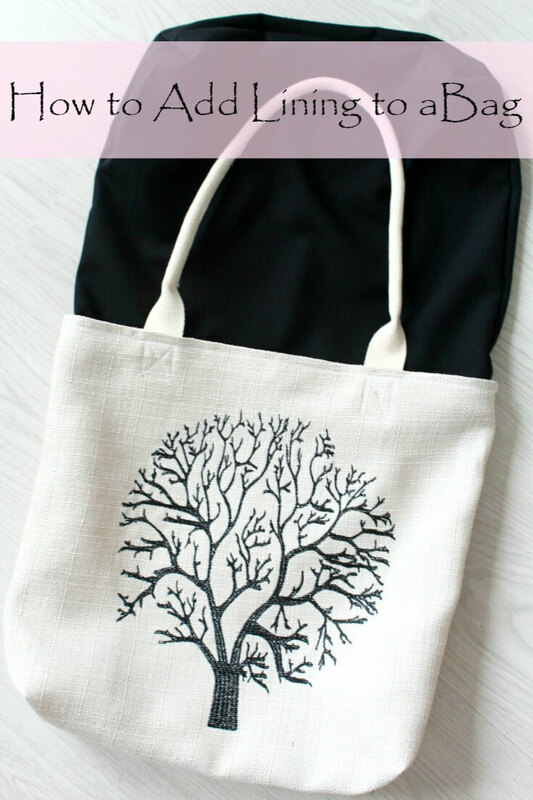 Here you’ll learn how to change the presser foot tension on a sewing machine according to your own project! Adjusting the pressure on your presser foot is a very important step you need to take in each and every sewing project. Setting the correct pressure on the presser foot has a big impact on your sewing project and the quality of the end result. And in this short tutorial you’ll learn a few simple tips about sewing machine presser foot adjustment. First a few words about the presser foot and the tension before proceeding to the actual process of how to adjust presser foot pressure. 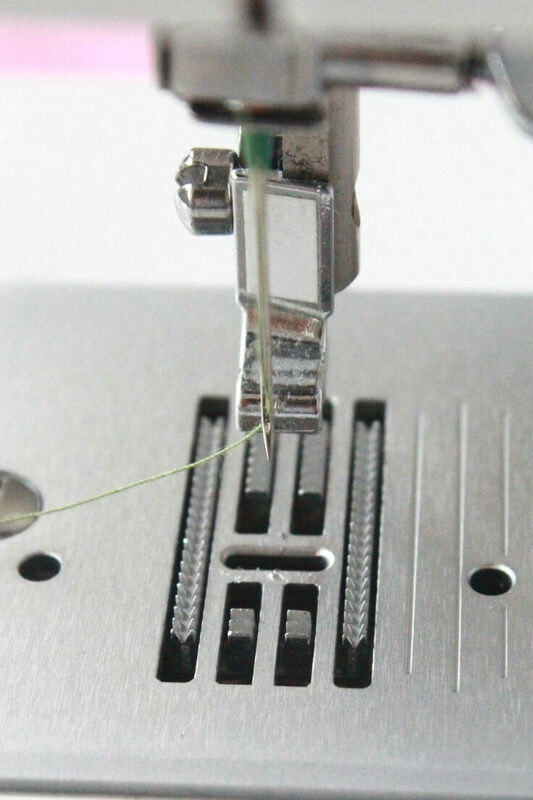 The presser foot tension simply presses on the fabric so the sewing machine’s feed dogs can nicely pull the fabric through. 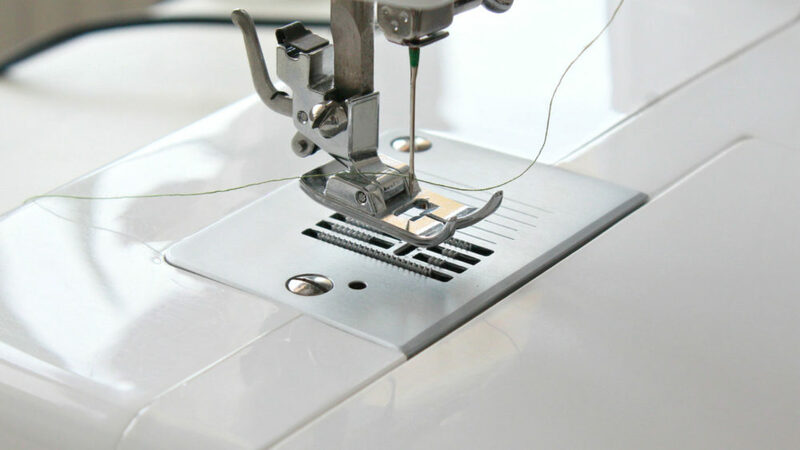 If the presser foot tension is set correctly, your stitches are the same length and the fabric slides through easily without the need to be pulled or guided through. If there’s too much pressure put down on the presser foot, your fabric will pucker. 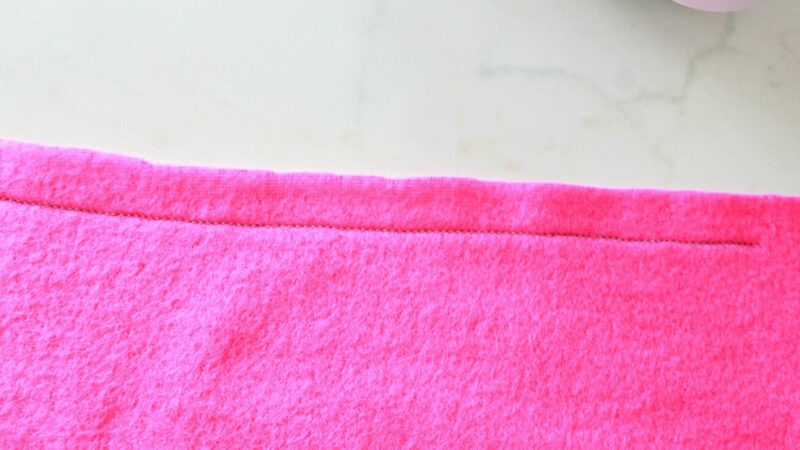 Not enough pressure and the presser foot will also make your fabric pucker or your thread gets tangled, in the front or the back of your sewing project. As a rule of thumb, presser foot pressure adjustment works like this: to sew heavy fabrics (or sewing through several layers of fabric, like in quilting), you need to have the presser foot set on light pressure, while for light fabrics you need a heavier pressure. 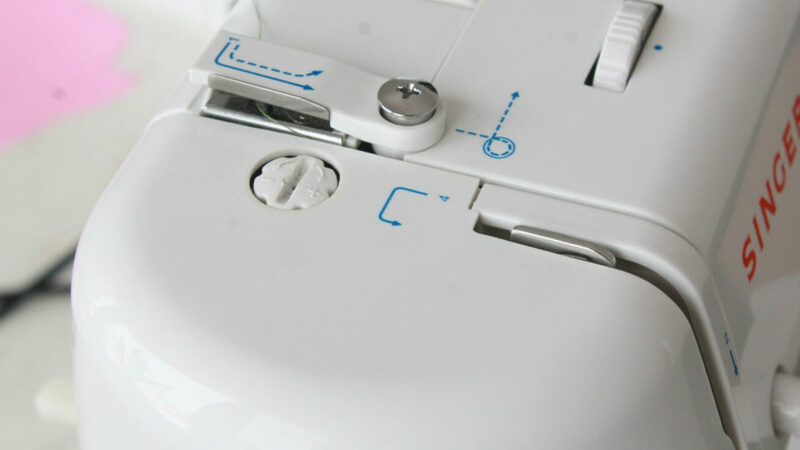 To make the necessary sewing machine presser foot adjustment you’ll first need to locate the presser foot regulator for your particular sewing machine. This can be a button, a knob, a dial (on some machines this is small, on others the dial is large), a pin that pops up or a screw. Mine is a screw, the white one with a plus and a minus sign on it. 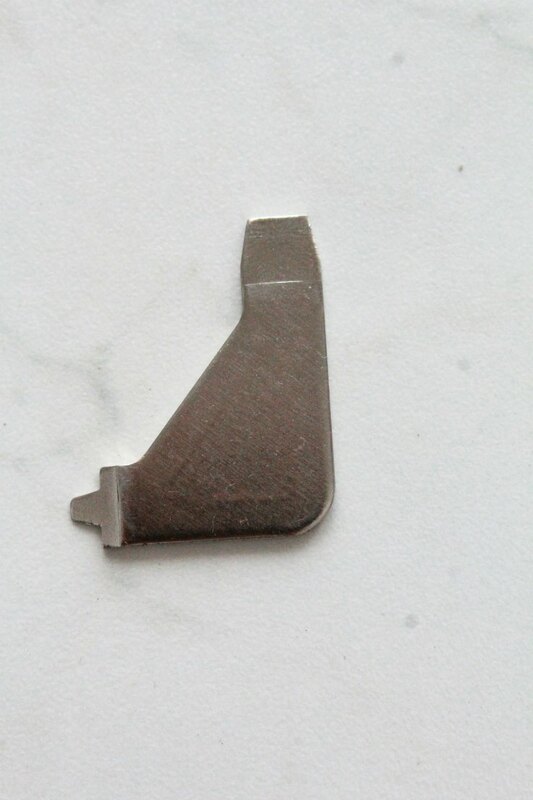 These can be found either on top of the sewing machine, directly above the needle and presser foot or on the side, in the same area as your needle and presser foot. If your regulator is a dial, spin it towards the plus sign to tighten the pressure. Spin towards the minus to loosen it. 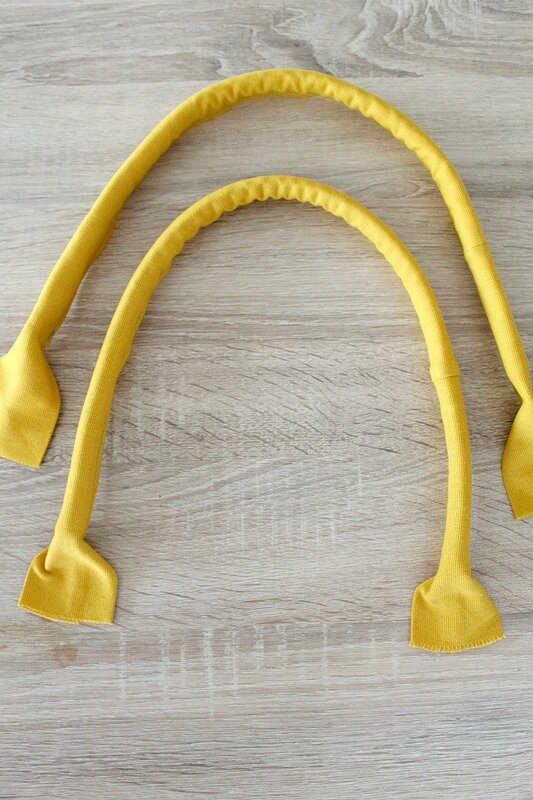 If you have a pin, pressing down the pin will make it pop up and will create a light pressure, needed for heavy fabric. 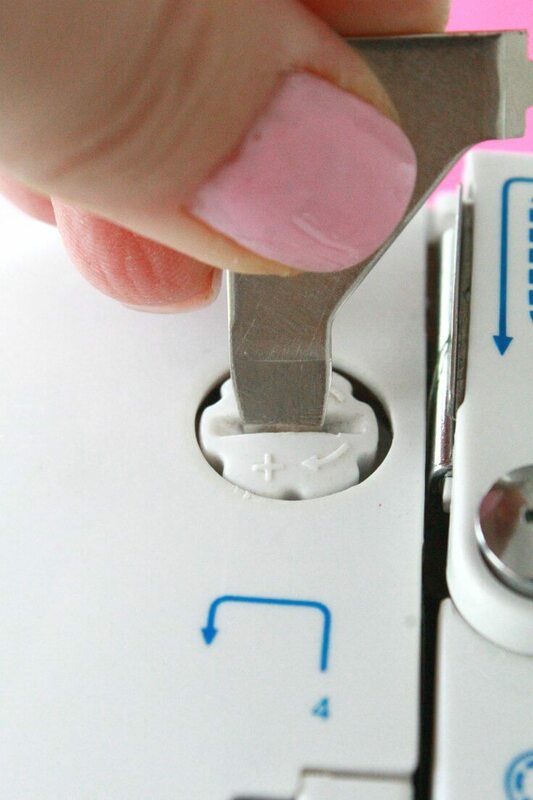 Press down on the pin again to create heavy pressure if you are sewing light fabric. In case you have a knob, it usually comes with an indicator next to it. Pressing up or down the indicator will increase or reduce pressure on your presser foot. If your machine has a screw, use the screwdriver to turn the screw and change the presser foot tension. Turning the screw clockwise or towards a plus sign will create heavy pressure. When turning it counterclockwise or towards the minus sign, it will give you light pressure. This is my screwdriver/key that came with the sewing machine. If you own a Singer, chances are yours looks pretty similar. 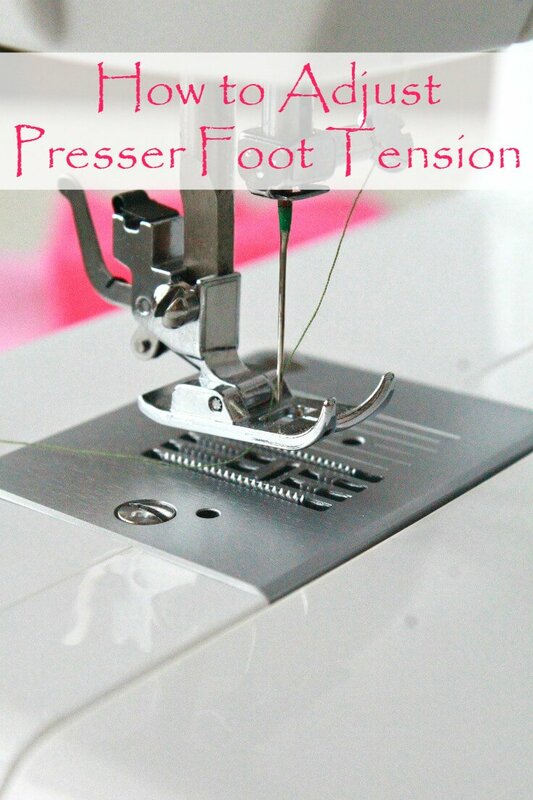 Before starting working on a new sewing project, test the pressure foot tension. 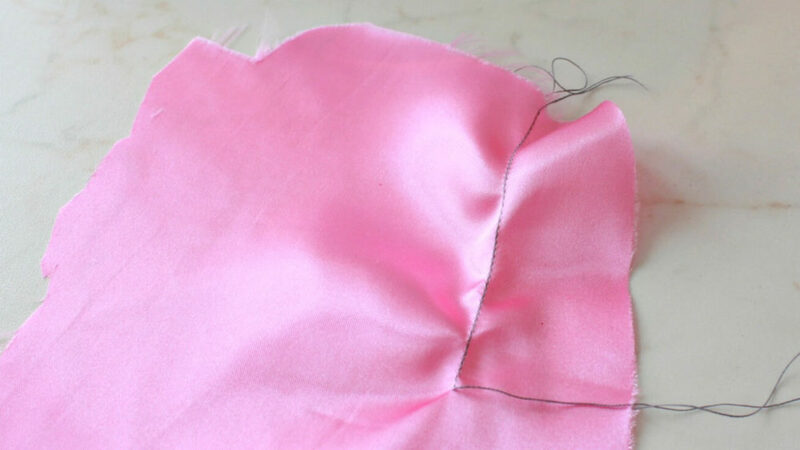 Sew on a scrap of fabric that is the same thickness as your project. Adjust pressure according to your results. 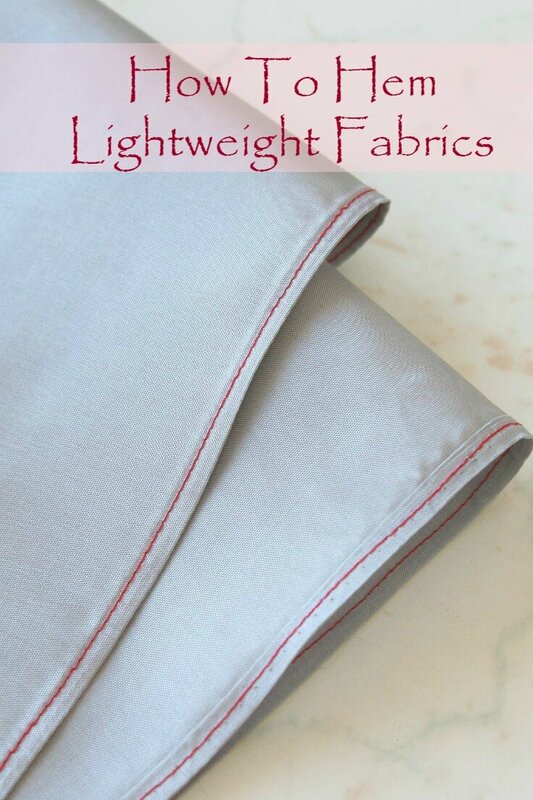 You have the right settings when the fabric doesn’t pucker, the thread is not tangled, your stitches are of the same length and the fabric slides through the feeding dogs smoothly. My machine had to be taken apart for a repair. Its back together now but needs adjustment. Should the presser foot when lowered touch the feed dog guide plate or not? Should there be a bit of a gap between the bottom of the foot and the plate? By undoing the screw that holds the presser foot lever the whole shaft can be moved up and down. My machine is an old New Home 609 by Janome. The presser foot tension adjuster works fine but at the moment my presser foot has a slight gap between the foot and the plate and stitching is terrible no matter how much tension is applied. 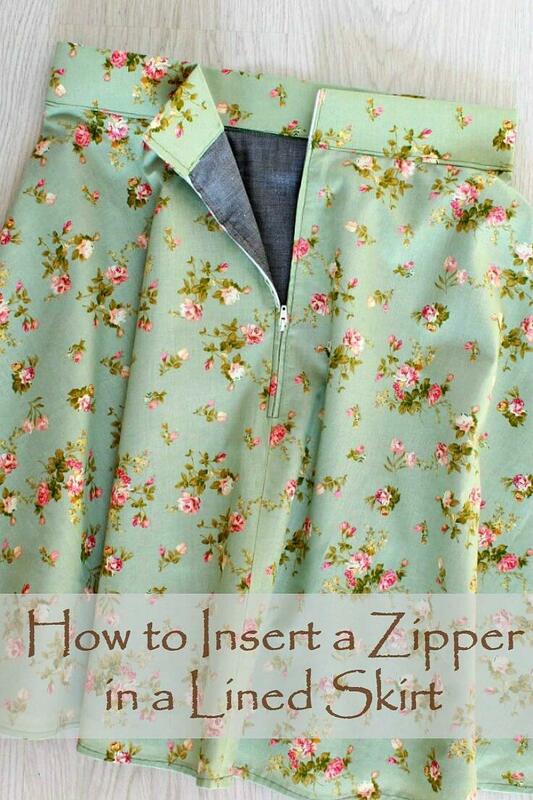 Being of the male gender machinery I know about, sewing I do not. So any help here would be much appreciated. Hi Tony. The presser feet on all my machines touch the plate when lowered and while I’m not an expert I think this is the way to go. Sometimes when I sew very thick fabric and I lift the foot to the second level I forget to lower to the lowest level and my machine doesn’t like it with the foot lifted. The thread gets tangled and the machine makes a scary noise letting me know instantly something is wrong. So a foot should touch the plate when sewing.